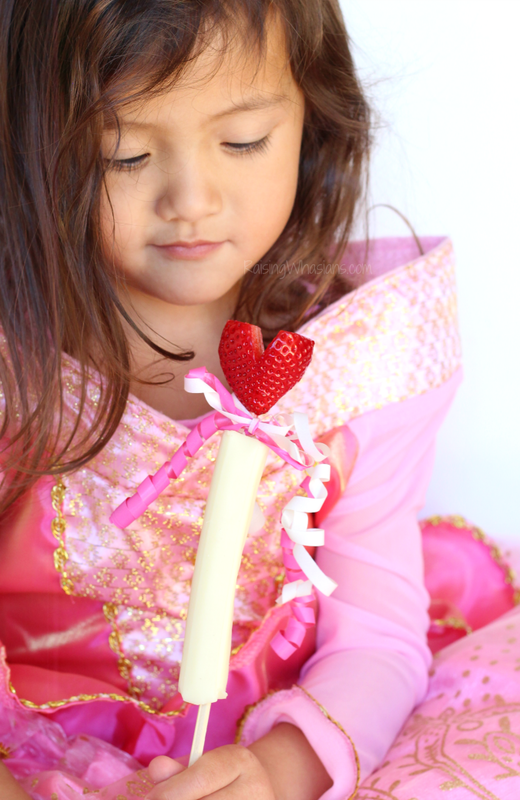 Spoil your little one with a little extra love and these Valentine’s Day Heart Wands Snack Idea for Your Princess. This post is sponsored by Frigo® Cheese Heads® String Cheese. All delicious opinions are my own. Everyday is a good day to be a fairy princess. Just ask my 4-year old! If there’s ever an excuse to get dressed up and carry a wand, she’ll be there. Valentine’s Day is no exception. Now that I have a little girl that has a deep passion for hearts, frills and everything girly, I needed a Valentine’s Day snack fit for a princess. 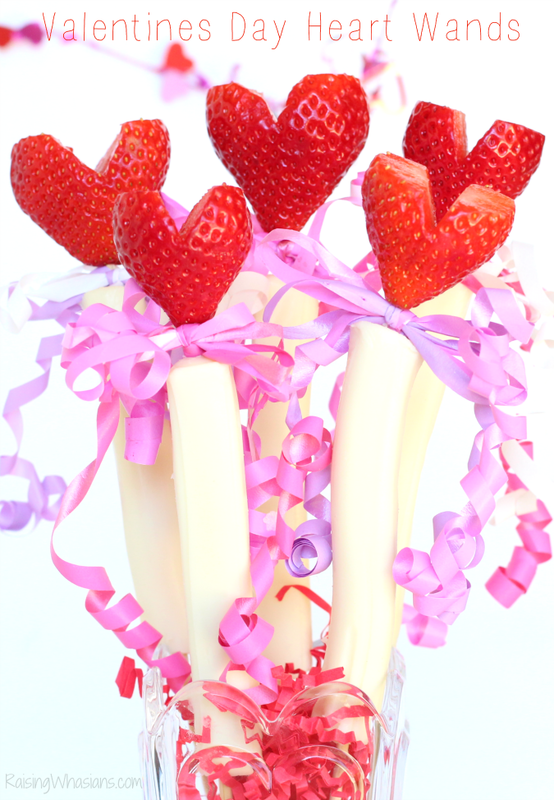 These Valentine’s Day Heart Wands make the perfect snack for your little ones, with a touch of extra special LOVE! Ready to spoil your little princess? I have to admit, I love this age. I know I say that with every age, but seriously this girl is perfection. Past the scary potty training phase (remember war paint?) and countless toddler meltdowns and now into an age of hilarious conversations and twirling, I really enjoy the hours I get to spend with her everyday. She’s my sunshine, my mini-me, my princess. Keeping this busy little girl happy and fed, well that’s still a struggle. I still dream of feeding this girl as much fresh and healthy options as possible through our days, which means this mama needs to get creative…some days REALLY creative when it comes to snack time. So right now, there’s a princess theme for everything! 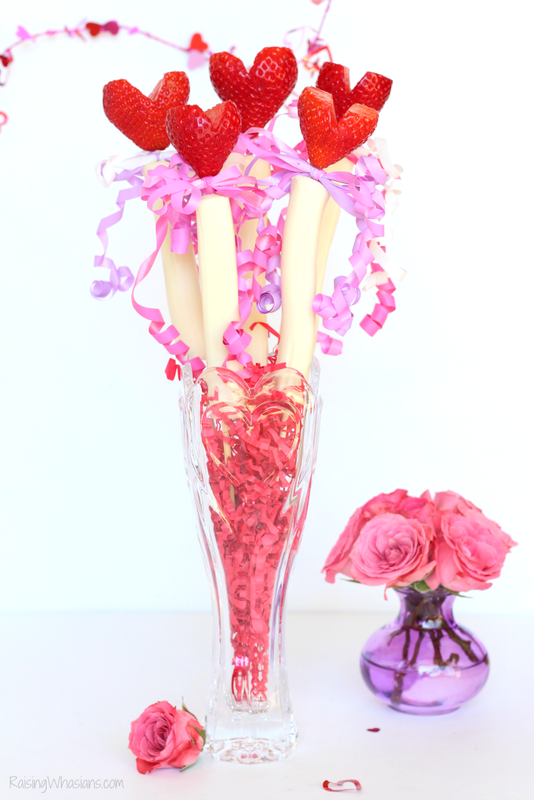 So these Valentine’s Day Heart Wands combine two of my girl’s favorite snacks, string cheese and strawberries. 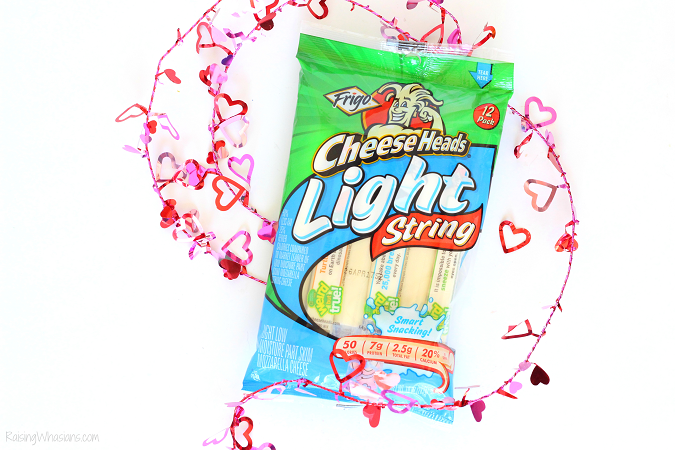 Frigo® Cheese Heads® String Cheese is a perfect Valentine’s Day treat for your kids! These healthier cheese snacks offer a great way to celebrate the season of love and friendship. Creamy, cheesy and easy to hand out in individually wrapped packages, string cheese is a great alternative to sugar filled candies. And when paired with strawberries and all of the girly-frills, we have a winning snack for the holiday! Cut the tops off of the strawberries. Then cut a small triangle out of the tops of the strawberries to create little red hearts. Add curling ribbon on top of the string cheese. I tied them into little bows and curled the ends. So cute, right? 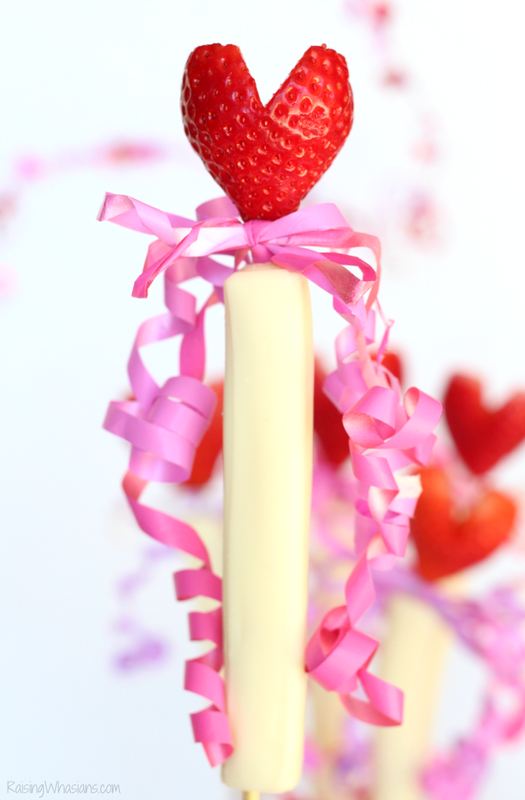 Top your wands with a magical strawberry heart. Hand to your little fairy princess for a snack that’s as pretty as she is! 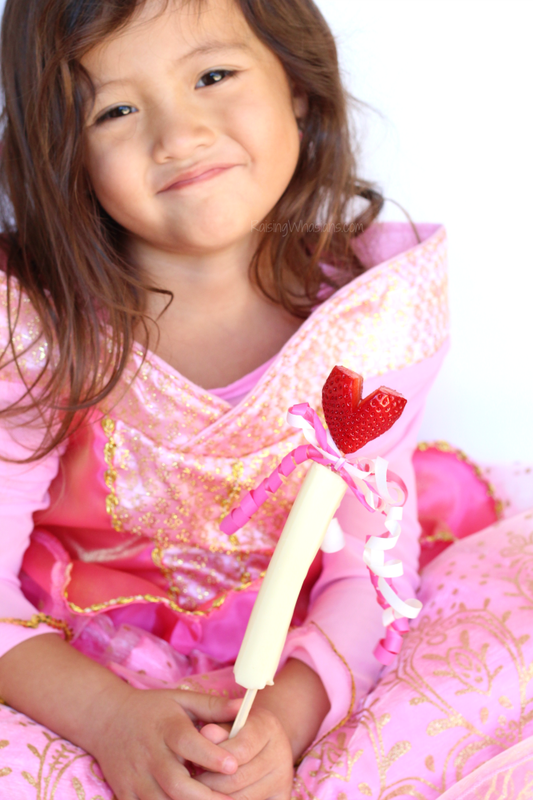 Perfect for parties, play dates and princess gatherings, these Valentine’s Day Heart Wands are a fun addition to your holiday celebration! Looking for more healthy snack ideas? Be sure to check out these Lightsaber inspired snacks! Ready to spoil your little princess this Valentine’s Day? Be sure to pick up Frigo® Cheese Heads® String Cheese and other delicious cheese snacks at your favorite Frigo® Cheese Heads® retailer, like your local Walmart and Target. And follow Frigo® Cheese Heads® via Facebook and Pinterest for the latest in tasty cheese snacking for your whole family. 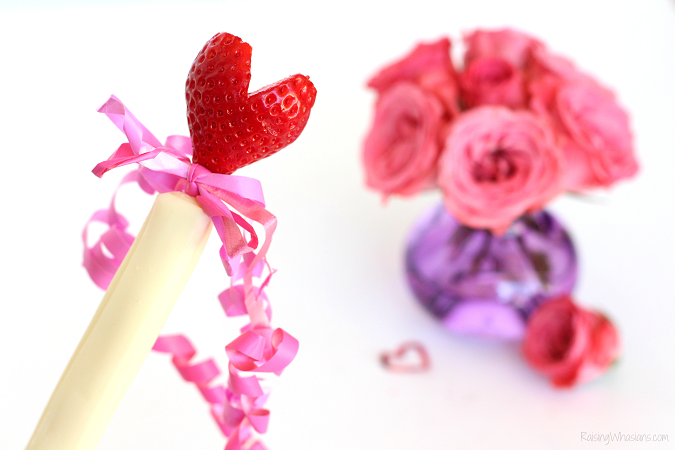 Would your child love a little Valentine’s Day Heart Wand for a snack? What are your go-to Valentine’s Day snacks? Be sure to follow Raising Whasians via Facebook, Twitter, Google, Instagram, Pinterest and YouTube for creative kid-approved snack ideas, crafts, family travel tips and more! Those are so cute! I love the adorable look and how healthy they are. This is a great treat for any child on Valentine’s Day. What a cute little Valentine’s Day snack. Way healthier than most of the treats this VDay! 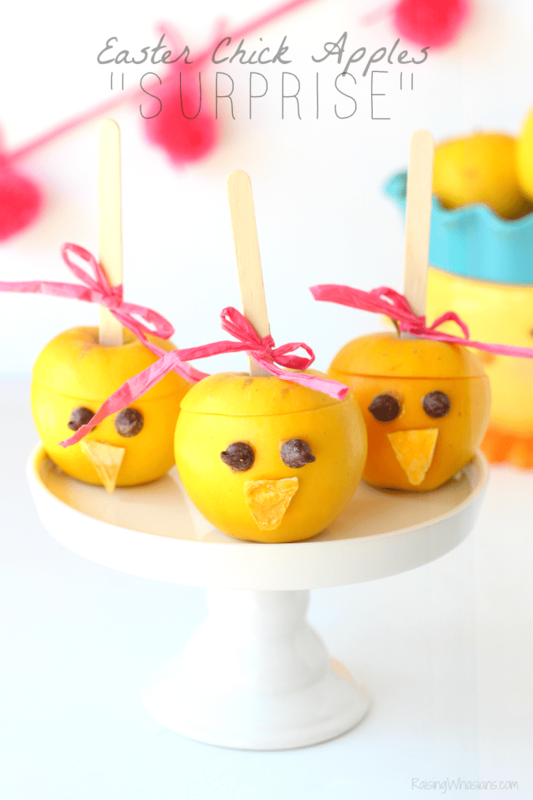 What an adorable snack idea! I just love how easy it is to pull together and appreciate that it is not focused around candy. These would be delicious and healthy snacks, not just for Valentine’s Day, but for everyday. I would love to eat them myself. Aww what a cute snack! I think this is a wonderful idea for Valentine’s Day. The strawberry hearts are perfect. I like this Valentine’s Day theme snack. It is not sweet (which I love) and it is definitely healthier than the rest of the treats I see. Your little girl is so adorable! She seems happy with her snacks and you can rest assured that when the time comes that she will raise her own family, she’ll be feeding them healthier choices too. Just like you did when she was young. What a cute way to make a Valentine’s Day treat. I think it is perfect for the kiddos. I love a creative and healthy snack. This would be great for a Valentine’s Day event. This is really cute! I would love to try this for Valentine’s Day treat! You little girl is so cute too! This is such a cute snack and good for them too. I am going to have to make these! this would be such a perfect snack to give my son for valentine’s day! I love how easy yet totally sweet and heartfelt this is- perfect for the big holiday of love! Ah, this looks so sweet. My niece would love this; she loves lots of fruits and vegetables (a bit of an odd-ball 🙂 ). I know she would love the strawberry. This is the cutest idea ever!! This would be adorable for a little girl’s princess birthday party too!! Awe how cute. The little ones will love this! That is so unique. I have never seen a strawberry cut into a heart. Those are darling! Although we all love treats, it’s nice to have options that aren’t filled with sugar. I love these. Nice healthy Valentine’s Day snack. Plus, I am a big fan of string cheese. This is awesome! Kids will love doing this and it looks delicious! I love this idea! It is so cute and festive, plus it is so healthy vs chocolate. Great way to keep snacks healthy!! Youre right- that age is magical, because magic still is there. These are adorable and calling them wands is perfect. Your daughter looks enthralled ! This is adorable, and it would be fun for so many occasions, not just Valentine’s. I’ve never seen anything like this anywhere, so creative!